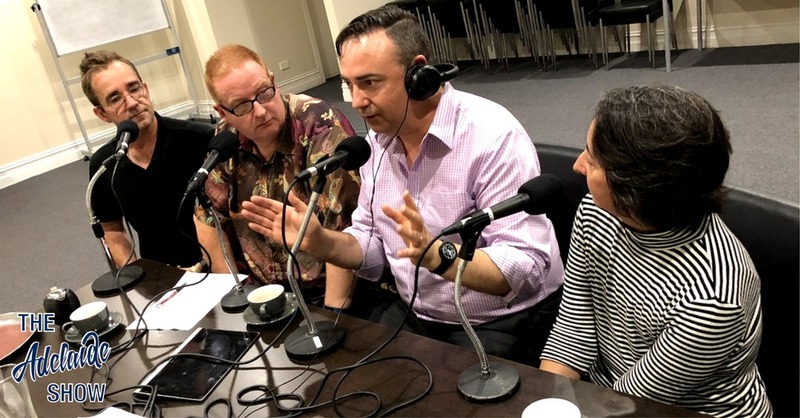 This week’s episode of The Adelaide Show is simply Vote 1 South Australia, our look into the upcoming state election on March 17. Our commentators are Robert Godden and Melissa Scott. Robert is an HR expert and tea purveyor but we asked him onto the program because he is also an astute observer of all things political. Melissa is nowadays working in accounting for a large firm but she has worked at the coalface in Australian federal elections and brings some global, US perspective to our electoral battles, too. In IS IT NEWS, Nigel challenges us on stories about politics from our past. In 100 Weeks Ago, we delve into the Big Shed Brewing Concern. And in the musical pilgrimage … Todd has lined up Toucan Blues. And please talk about us and share our episodes on social media, it really helps build our community. Ciaran went dumpster diving. Great haul and broken glass. On March 17, 2018, South Australians head to the polls to elect our next government. Labor, Liberal, and SA Best are the main contenders but few pundits can see any of them governing outright. In times like these, a calming cup of tea and perhaps the reading of the leaves can be just the thing to see us through, which is why we’ve invited Robert Goddern from The Devotea to guide us in this discussion. And we also have a guest with firsthand experience of running federal election campaigns, to give us some insights from the trenchs, Melissa Scott. And we hope you all Vote 1 South Australia! First question. How do you both describe the election environment at this stage? This could be the time to share your tea pairings, Robert. Do you both know who you will be voting for on March 17? How do you go about making your decisions. 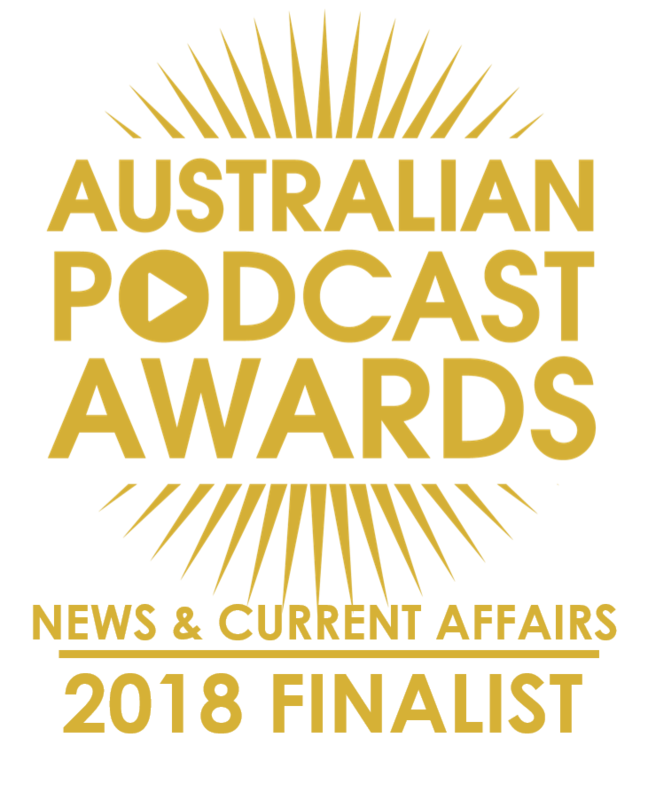 I ask this because even our esteemed colleagues at InDaily, have not been able to get decisive in their election podcast. Ray Bradbury: I hate all politics. I don’t like either political party. One should not belong to them – one should be an individual, standing in the middle. Anyone that belongs to a party stops thinking. George Orwell: Political language… is designed to make lies sound truthful and murder respectable, and to give an appearance of solidity to pure wind. Are political promises “pure wind”? Here’s a quote from Never A True Word by Michael Maguire. It is a long passage from his book but it really sets this part of the discussion up. Announcement/Response/Future. If the other mob delivers a policy, or has a shot at us, I will detail exactly what has been said, outline our immediate response, and then recommend a course of action for the rest of the day. The last is the most important. It’s imperative we deliver our carefully sculpted responses to every Cabinet Minister and backbencher, who can then refer to them in case they’re quizzed by some nosy media type, or a pesky constituent, about the issue at hand. Sure, it looks weird if a bunch of our MPs are shown using exactly the same words and phrases, making it look as if they can’t think for themselves, but the alternative is far worse – they start to think for themselves. Going back to media coverage, are we starved of decent, non-partisan coverage and commentary? Isaac Asimov: There is a cult of ignorance in the United States, and there has always been. The strain of anti-intellectualism has been a constant thread winding its way through our political and cultural life, nurtured by the false notion that democracy means that my ignorance is just as good as your knowledge. Margaret Thatcher: I always cheer up immensely if an attack is particularly wounding because I think, well, if they attack one personally, it means they have not a single political argument left. In this vacuum of decent discourse, are we creating the environment for extremism? Benazir Bhutto. Extremism can flourish only in an environment where basic governmental social responsibility for the welfare of the people is neglected. Political dictatorship and social hopelessness create the desperation that fuels religious extremism. Andrea Ferguson What do you think is the key issue for our voters which will impact the election? Andrea Ferguson How on earth would Nick cope if he ended up premier? Every politician lives in fear of the stuff-up or the ‘gotcha’ moment. Of creating that slice of vision that will define them for years to come and be, no doubt, wheeled out come election time in every TV ad going. Every political leader is only one big political blunder away from a full-court media press that few ever escape from. People like to get up on their soapbox and denounce fear campaigns during elections. But you know what? They work. Let’s do the reading of the tea leaves. DICTATOR OR POLITICIAN? WHICH IS PREFERABLE? ADELAIDE, Monday. Taking as his text the words, &quot;Fancy spending all that money to house a few politicians—which he had heard applied to Adelaide’s new £25 Million Parliament House—Mr. R. G. Menzies (Prime Minister) today asked whether it would be preferable to spend that amount on a palace for a dictator such as he had seen in Berlin. Alternatively, he asked, would South Australians have preferred that the money should be spent to house a Ministry of Propaganda, such as operated in Germany, to make sure that all citizens thought the same thoughts and read the same news. He thought they would prefer to continue the Parliamentary system of government and house it worthily. Addressing the record attendance of 500 men, Mr. Menzies said he had learned that the new Parliament House was not without its critics, because Australia was one of the great democracies of the world. &quot;We are still able to exhibit to the world a capacity for dealing with own problems honestly and effectively, through the Parliamentary machine, the Prime Minister continued. With a pointed revolver, James Vincent Conelan, barman threated to “fix” Mr. A. A; Edwards, Labor member in the House of Assembly on Thursday night. He was today, brought before the Court, found guilty, and sentenced to imprisonment for one month. The Defendant, who denied the charges, was found guilty. He was ordered to be imprisoned for one month- on the charge, of assault, and on the second charge was ordered to enter into a bond of £25 and fined a surety of £25 to keep the peace toward informant for six months, in default two months’ imprisonment. Some months ago informant and his solicitor warned defendant against going to the Newmarket Hotel, of which informant was then the licensee, on account, of his having caused a disturbance there. -Defendant promised to refrain from molesting informant, and for that reason no action was taken. Informant, on oath, said that on Thursday at 5.45 o’clock in the evening he saw defendant in Tunney’s hairdressing shop. As he went past he received a nudge from defendant, but ignored it. He walked on to the footpath, and was followed by defendant, who, holding a revolver in his hand, said, I’ll fix you, you ___” Witness said, “Put that thing away,” and walked toward his car. Defendant pulled the trigger, and informant heard the distinct click of the mechanism of the revolver. Informant when about to enter the car heard the same clicking. As he drove off defendant pushed the revolver through the side curtain and the informant knocked, it away. Gunner G. E. Yates, member, for Adelaide in the House of Representatives, who was arrested by the military authorities on Saturday, was conveyed to Melbourne by the express -which left- Adelaide on Monday. It is believed that an incident in regard to the quarantining of the ship, the Somali, recorded by a military officer who arrived by the transport, has much to do with Gunner Yates’ detention. Following upon special disinfection treatment during the trip-out, it is stated that the men were promised that if no further cases of influenza occurred on board they would be allowed to land on reaching Adelaide, but instead of that, an order was issued placing the ship in quarantine for seven days. Then a section of the soldiers, allegedly led by Gunner, Yates, made a protest and threatened to seize the ship’s boats and land if the embargo was not lifted. To avoid such an occurrence, the captain of the ship got the boat under steam with the object of anchoring further out, but because of the action of some of those on board he was obliged to cast anchor sooner than he had intended. And our song this week is Toucan Blues by Jimmy & The Mirrors. “One of my all time faves”, selected by our musical curator, Todd Fischer.